All the music and people of the world in one place. This is more than Social Media, Meet Artist, DJ's, Music Lovers & Enjoy Music for Free. deafbeatz opens up the gate of free music where fans and users can listen to their favorite tracks and latest music from artist around the world. 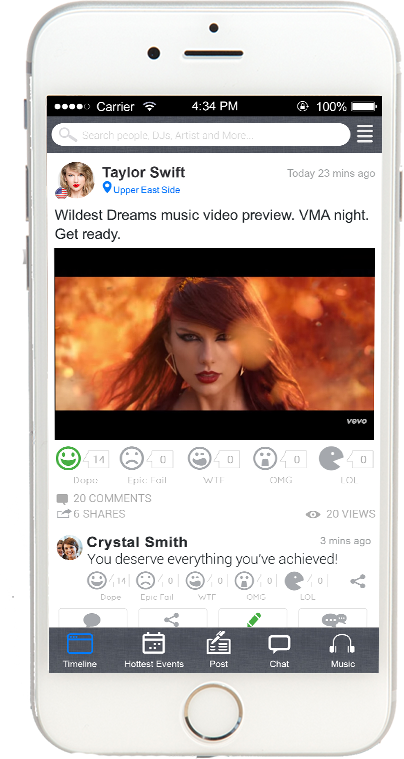 The platform enables all regular users and diehard music fans to express their likes in 5 different ways with option to choose from LOL, OMG, WTF, Epic Fail & Dope. deafbeatz mission is quite simple “Let humanity hear the sweet tunes of free music from across the planet.” Together we can accomplish the most juggernaut tasks. Be part of our platform and take one step forward towards creating world’s greatest music community. Sign up today and join the biggest music movement and enjoy the music like never before!